This gorgeous and warm coat is an 100% authentic guaranteed, new with tag, has never been worn. The color is a classic true black. Inspired by street-style icons, our puffer has an A-line fit and an interior drawstring that can be cinched to create a cool cocoon effect. This year's version uses eco-friendly PrimaLoft® insulation, a warm-as-down alternative made of 100% recycled content (aka, one parka = 11 plastic bottles). 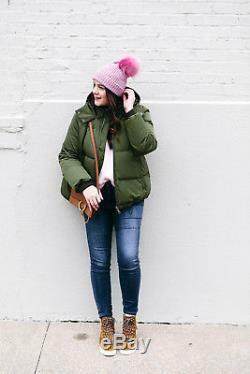 In this wear-all-season coat cut roomy enough to layer over your coziest sweaters! This coat is comfortable and lightweight. T works with everything from jeans to dress pants and looks especially chic and warm. 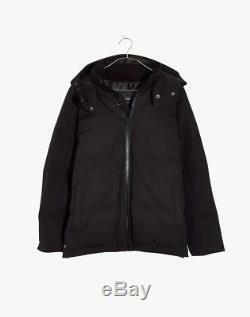 The coat itself is extremely well-made, extremely nice material that is soft and comfortable inside-out. It has amazing reviewing from the buyers! Please see the following for the details. Note: The last 3 pictures are a different color to show how it will look on you!! If you need more pictures or have any questions, please message me. Have a wonderful day and Enjoy! All my listings are 100% authentic, and come from a pet-free/pest-free/smoke-free/climate controlled/clean environment. The item "NWT Madewell Women True Black Quilted Puffer Parka Long Sleeves Coat Jacket (XS)" is in sale since Monday, January 14, 2019. This item is in the category "Clothing, Shoes & Accessories\Women's Clothing\Coats, Jackets & Vests". The seller is "happyshophappylife" and is located in Marietta, Georgia. This item can be shipped worldwide.